Putting our file on your Desktop, saving it there would be the best thing to do. It's really easily found there, no looking for it at all, very convenient to edit from there later. 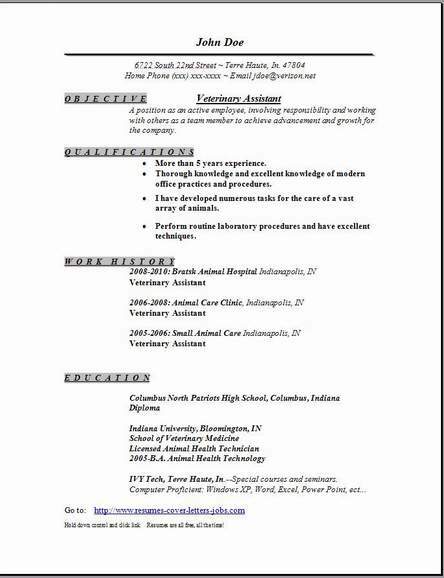 These are 3 assistant resume formats you should use when starting to create a resume. You should not waste any time and edit the example immediately after you open it on your desktop. Get very very creative with the editing by trying different styles, bullets are good to try, also some bold type on the dates section. Just experiment while creating, don't be shy, try everything. You can't hurt it. If you do, just make sure you saved your original and then start over with a new copy. Change everything until you like the look of your new resumes. 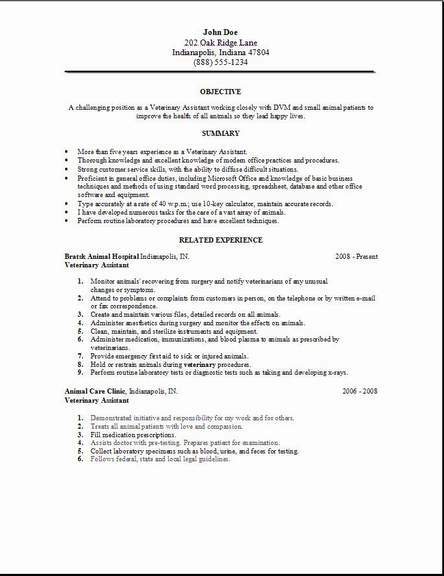 I love these free veterinary assistant resume examples. 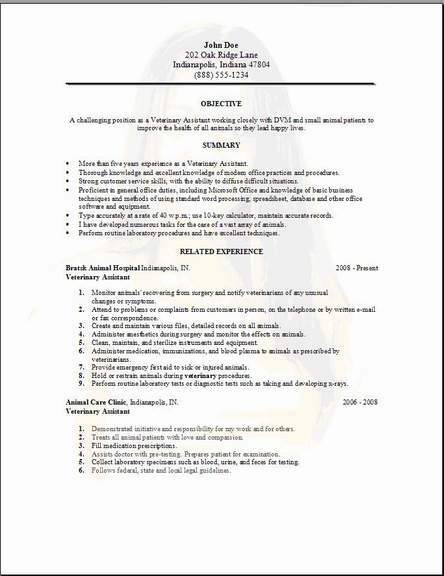 This is a great profession and I think this resume will help you. If you are the type of person that loves animals, then becoming a veterinary assistant will be a rewarding experience plus a lifetime job. You can complete your dream career by taking online courses at home through a distance learning program of your choice. You can usually complete this in one year of study. Etiquette is a very important class that is in the program that you need to concur to have good people skills. Also the procedures of admitting and discharging the animals in a kind and bonding way is another skill to learn. Using the proper animal restraint technique not only keeps the animal safe, it also keeps you and anyone else that is near the animal safe. These techniques must be learned from the classes without doing any harm to the animals. Understanding the proper medication formula is very important for any animal in recovery. You will learn to be very precise in your measurements. An overdose can be deadly. Study the programs techniques and you will be fine. You will also learn how to assist the vet during surgery by learning from the online program how to prep the patient for surgery, and also how to prep the surgery equipment prior to the operation. Methods of sterilization will be taught in the program that you need to become an expert at. Lab procedures are learned and collecting samples can sometimes be very difficult, so learn the techniques taught in the class, you will need them. Learning the art of taking x-rays can be exciting too. You need to be very quick and very efficient so the doctor gets a good look inside the patient. Once you become a certified veterinary assistant, a rewarding job for a lifetime awaits you.